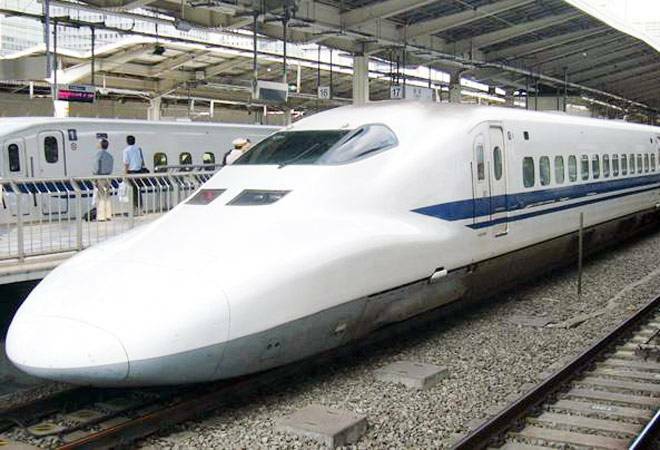 What the Ahmedabad Mumbai bullet train project brings to India? Here’s a quick tutorial Of the total cost of Rs 1.1 lac crore for the train, Rs 88,000cr will be given as a loan by the Japanese govt, @ 0.1% interest rate, payable over 50 years, and moratorium of 15 years. In common parlance, it means the Indian govt doe not have to pay anything for next 15 years, and repay the loan in 35 years after that. In economic sense, the NPV of the repayment schedule comes to ~Rs 6000cr. Basically what that means is, that the govt is paying Japan ONLY Rs 12000cr TODAY – for a loan of Rs 88,000cr. Including the remaining Rs 22,000cr – it means govt is constructing the 500km bullet train for total of Rs 34,000cr – a paltry Rs 68cr per km. To give you a perspective, an overhead metro costs Rs 100-200cr per km and underground Rs 300-500cr per km. It is virtually a gift from Japan to India. Now to the benefits – 20,000 construction workers will be employed for 5 years, 4,000 permanent jobs for operating it thereafter – not to mention the HUGE demand it will generate for steel, concrete and cement. And if you want to look at long term benefits – just look at Europe (which greatly prospered from EUrail), China (which was able to grow its GDP because of mega projects like these) and Japan (virtually every major town connected today by bullet train network). Lastly, the technology transfer in this project will enable India to build future bullet train projects on its own, at much lower cost – and maybe someday, make it for other developing countries – just like we are launching satellites for much advanced countries today!! Now to the safety aspects – The Indian govt could have selected the Chinese offer, which was 18% lower than Japanese quote. But the Japanese bullet train system has not reported a SINGLE accident since 1964 – as against Chinese developers. These trains run on magnetic levitation, and have in-built sensors, to safe-guard them EVEN during natural disasters like earthquake – derailing is a distant probability. At some point, you got to take these decisions, which propel you into the next orbit – or you could wait for the entire population of this country to be lifted above the poverty line, to satisfy the argument of righteous capital allocation ! !